Sophie bedroom set in grey velvet fabric comes in unique transitional style. 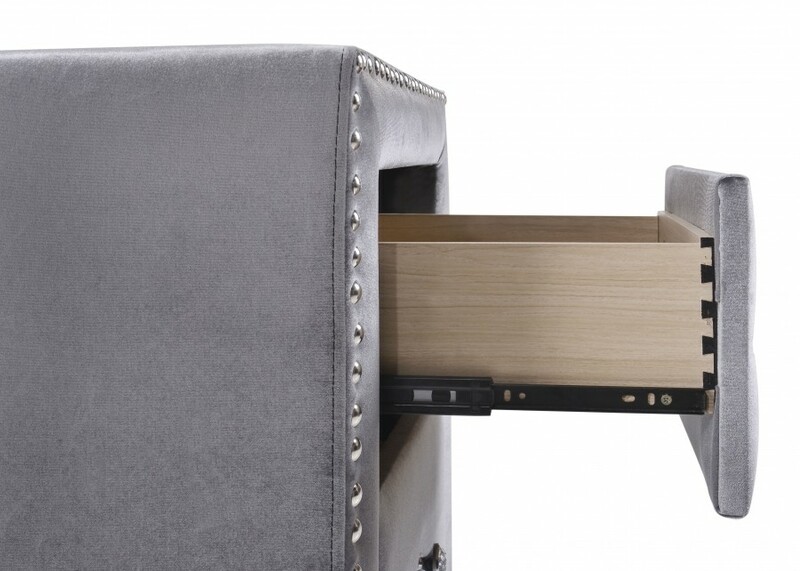 Made by Meridian Furniture it will last for many years in your home. 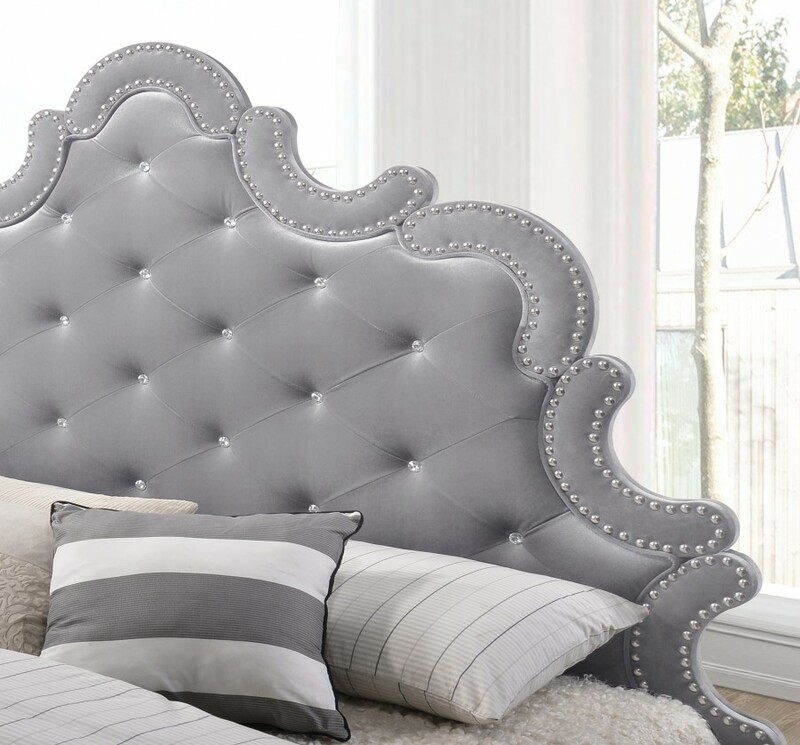 Panel bed with crystal tufted headboard and nail heads trim comes in queen and king sizes. English dovetailed construction side tracks drawers on dresser, nightstands and chest. 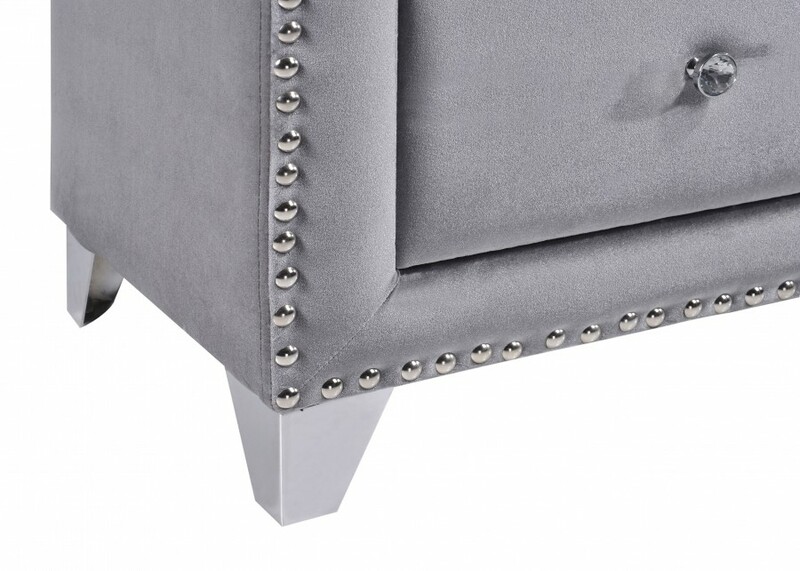 Silver finish steel legs on all the pieces perfectly matches silver handles and nail heads trim.